● Generally, the only deal WeatherTech offers is free shipping on up to two additional items when you pay regular shipping on select items. 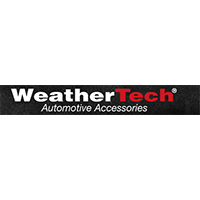 ● Coupons and promo codes are rarely offered by WeatherTech. Weather Tech is responsible for producing very durable yet inexpensive vehicle line or solutions for cars, trucks, and SUVs. This company's flagship line of products include all weather floor mats and interior cargo liner solutions that propel slush, snow, water, dirt, and debris, keeping vehicles looking better than brand-new even in the worst possible weather conditions. They also produce a “Tech Liner for truck beds that is on par with other truck bed lining solutions, and have recently unveiled a full line of side window deflectors and no drill mud flaps that have quickly become quite popular in the automotive community as well. For most up to date offers check out Weather Tech on Facebook and Twitter or contact Weather Tech Support for any questions.